Advertising has long remained an invaluable marketing strategy for businesses across the world who wishes to be successful and enjoy considerable growth within their respective industry. The ever-increasing competitive nature of the global business market creates a growing need for companies to be vigilant in their efforts to promote themselves within the public domain and create brand awareness that is fundamental to creating healthy conversion rates and sales profits. Traditional methods continue to be effective in modern day business, with leaflets and business cards allowing a company to promote their business to targeted consumer groups and provide essential information, such as contact details and what areas the company specialises its expertise in, for potentially interested clients to utilise. This form of marketing can now be accompanied by modernistic promotional avenues that can be utilised by companies of all sizes and calibre to effectively advertise their brand on a greater scale. Developing much-have apps that take prospective and current existing customers straight to a business hub where they can purchase products and services is the perfect example of modern day channels which are perfect for every business-to-business and business-to-consumer enterprise. 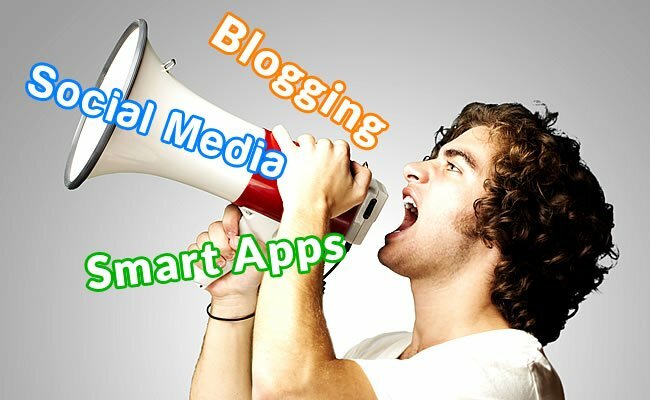 Launching your own blog is an innovative way of promoting your own thoughts and opinions on the internet where it can be read by potentially millions of people worldwide. This fact promotes blogs as a beneficial avenue for companies to go through in order to promote their business and brand to a global audience. Companies can promote their products and services through creative writing that is targeted towards prospective clients. Blogs can either be operated as a stand-alone site or be included in a company’s websites which further enhances a strong web presence that is vital within the modern day business world. The beauty of blogging is that it can be written in the first, second or third person and allow customers to keep tabs with the latest company news and information via an RSS feed that alerts subscribers when every blog post goes live. Establishing a presence on social media sites is another example of how companies can effectively promote their brand within the modern era. The emergence and subsequent advancements in internet technology have revolutionised how a company can promote their brand on a global scale, with Facebook and Twitter remaining the best way for billions of people to connect with each other. Establishing a social media presence on either site allows a company to connect with prospective and current existing customers in an interactive manner that far surpasses traditional channels of letters, email and telephone conversations. Facebook provides an additional portal for companies to promote their logo and can connect to a company’s website which allows for regular conversation between a business and its customers. Creating a page on Facebook provides endless potential for companies who can regularly update their social media presence through a catchy post, photos and videos which are relevant to the business. Having only 140 characters to use in every post may appear to limit a company’s ability to push out every form of information and brand awareness that is made possible through blogging, creating a Facebook account and running their own website. However, Twitter is fundamentally beneficial for any company to promote themselves and their brand on a global scale via ‘tweets’ that can be read by millions of people. The limited number of characters creates the opportunity to produce snappy posts which are to the point and sell the company in the right manner without complicated jargon or extensive use of words. Furthermore, companies can utilise Twitter posts to link to pages on their own website which is related to the post, such as promoting special offers that may appeal to customers. Modern day handheld technology has become the rage with millions of people clamouring for the next smartphone or tablet device on the market. With one in five people in the world owning a smartphone, it illustrates just how dependent we have become on technology to improve our quality of life and provide us with functions that benefit how we live. Although both devices have basic functions which lay behind their existence, such as being contactable at all times via wireless phones and having a more portable alternative to laptops, developers continue to find new ways in which to push the boundaries of their capabilities to new depths. Both devices contain the unique quality of allowing users to customise their phone or tablet via downloadable apps that cover every genre and market, whether it is business, sports or game-orientated apps that provide the level of information, organisation and entertainment desired. This provides a wonderful opportunity for companies to consider entering the app market to offer customers an instant portal to their website or business hub where they can purchase products and services at the touch of a screen. Providing free apps and games app further extends a company’s advertising portfolio as they can utilise a hugely popular market to promote their brand, and create a healthy rapport with the modern day customer who can access information and purchase items in a more convenient manner.